You haven’t been hearing from me because I have been busy as a MoFo. 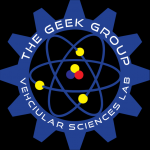 I have been packing up and making arrangements to move to Grand Rapids and take up my new position at The Geek Group as Director of Vehicular Sciences. I pick up the moving truck on the 15th of this month, and am leaving on the 19th of this month. I have been catching up on web site comments and e-mails, so I haven’t gotten back to you yet I assure you I will tonight or tomorrow as I catch up on the final bit of stuff before leaving. Once I am out to GR you will be able to catch me live on http://thegeekgroup.org/live .. There is even a chat client right there on the page that I will be monitoring while I am working, so you’re welcome to say hi, hang out, and ask questions in real time. People have asked what is supposed to come of the YouTube channel and my business in repairing and dealing in parts for computers of the odd flavor? Well, it’s going to be bigger than ever! I will be doing more automotive videos, as in, maintaining a blog for the vehicular sciences lab. That way, you can keep track of the daily progress. Since The Geek Group has archives, and all kinds of other good stuff that I definitely love to play with, I will be making videos as I adventure into uncharted territory as well. So expect to see big things in the future! DoogieLabs will also always be here. This is my personal blog, this is my business. Now that I finally can live in a place where I can invent anything I’ve ever wanted, expect to see those inventions here available for sale! Things like the old phone chill pad, vapor carbs, and other electronics gadgets can be had from this website. They can also be made available for sale upon request if you want something I have that isn’t for sale. I cannot wait to be back, and get started on the rest of my life. Walking out of the comfortable laid back life into Colorado, and immersing myself into projects with real weight, and cause. It’s going to be a great time, and if you are following along at this point, you know it’s going to be a wild ride. Let’s build something together! I got lots to do, so you may or may not hear from me again. Until next time take it easy!